Perhaps, you have heard the story of the African American slaves in your history class. They were brutally treated, mocked and punished. These people suffered from extreme racial discrimination where they were held under the condition of the white supremacy. During the Colonial and Revolutionary periods, the right to vote is only given to the rich citizen who was great property (land) owners. Only the white men have the ability to vote and the black men and women are continuously ridiculed and degraded. It’s just weakening to the spirit when you are judged according to your race and the color of your skin and not through the intent of your heart. These violent and inhumane issues ignited the Civil War. It’s the bloodiest war that cost many lives and lasted from 1861-1865. Though its terrible aftermath had freed the enslaved African-Americans and the slave trade was prohibited following those years, many forms of racial discrimination are still rampant in the United States. The 14th Amendment to the Constitution in 1868 gave the African American the right for citizenship and yet it didn’t mean that they have the rights to vote. It’s heart-breaking when you, as an individual cannot take part in the law and participate in the system of the community where you are living in. It’s so unfair that because you are black, you will be driven away from the state polls while the white voters enjoy their privilege. African American forced themselves to cast a vote and this resulted to pass first the literacy test or to recite complex parts of the constitution in which most of them failed. These schemes promoted a huge intimidation and turned the blacks from voting. The state did a lot of manipulated frauds that lead the blacks to become to vote. This continued for decades and people are living with tears in their eyes, their wishes unheard, and their efforts unseen. That was the battle-cry of them. For more than 50 years, they were not allowed to exercise their right to vote and be a part of the government. This ignited the hearts of the brave Americans. All they wanted is to seek justice and experience racial equality. 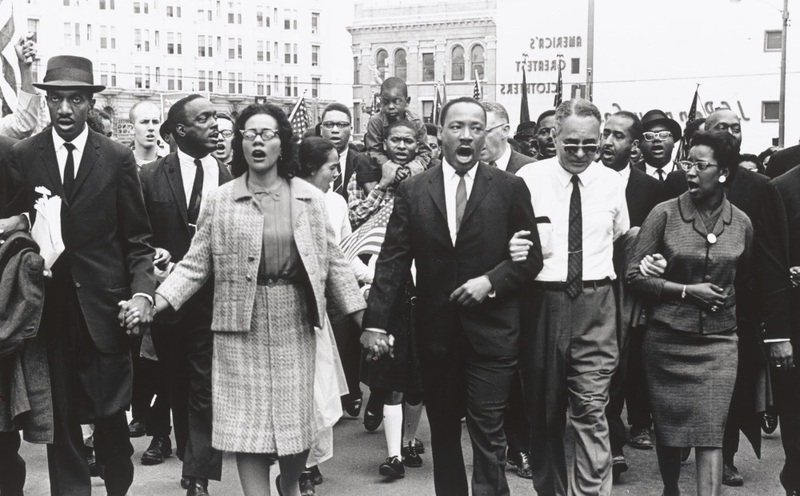 Martin Luther King Jr. was one of the heroes who protested and organized peaceful demonstrations with the government saying that the African Americans should be granted the voting rights. Many have died and arrested on the protests and it’s him who continued the initiative to pursue their aims. He was widely supported and together they have urged the government to stop voting discrimination and treat people equally regardless of their color, race and social status. It was in 1965 when the 1965 Voting Rights Act finally brought a change of this huge social torture. The African Americans have now registered and ballooned in number. This impacted a significant resolution to the society as black were given the opportunity to be in the Congress, the voice out and speak of their identity. All the social barriers have been removed and people are seeing bright hopes. This long-fought battle has finally come to an end and a remedy has been established. You, as a member of the society, is not a complete individual if you were not granted voting rights. The right to vote is one of the major keys to bringing a change in the country. We have given the power to elect the right people who will serve and protect the country. We can voice out our concerns and opinions about the system of the government. It’s a satisfying feeling when you are not restricted and controlled. Voting has shaped the way the country is governed. It is our instrument to advocate freedom, justice, and economic success. In today’s world, you should be happy because we are no more living in the grief and wounds of the past. The present generation has now a muscle to resist servitude, discrimination, and slavery. Never waste your chance to vote because, through it, you can choose a leader that can hear the citizen’s concerns, eliminate corruption and implement programs that would benefit other people’s lives. Many people have died for the sake of voting and you will just neglect it? The voting rights have awakened the American consciousness.